LenDenClub is the new-age P2P platform that aims to foster financial inclusion by leveraging technology to support borrowers with hassle-free loans, even in the remotest parts of the country. LenDenClub currently enjoys a borrower base of over 30000, while a lender base of more than 9000. While the lenders at the platform are spread all across India to even NRIs, the borrowers are currently active in certain cities of the country. With its InstaMoney app, the brand is on an embarking journey to achieve greater heights in having potential lenders and borrowers in the mobile and app-based ecosystem, enhancing its target audience and potential user base manifold. Bhavin Patel is the Co-founder & CEO of LenDenClub. With a career spanning over a decade, Bhavin brings in his his expertise into the lending business. His primary focus is to enable financial inclusion in the country, fulfilling the needs of a large population situated even in the remote regions of the nation. Under the guidance of the visionary leader – Bhavin Patel, LenDenClub has established its user base across 20 states of India in a short span of two years since its inception. 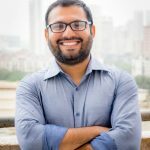 In an interaction with IncubateIND, Bhavin Patel talks about the role of new technologies in solving India’s huge lending gaps. Read On! Tell us something about yourself and what does LenDenClub do? I am a financial engineer who is always hunting for an opportunity to improve in delivery of financial services in the country. I co-founded LenDenClub, along with Dipesh, to deliver prompt loans to deserving borrowers. 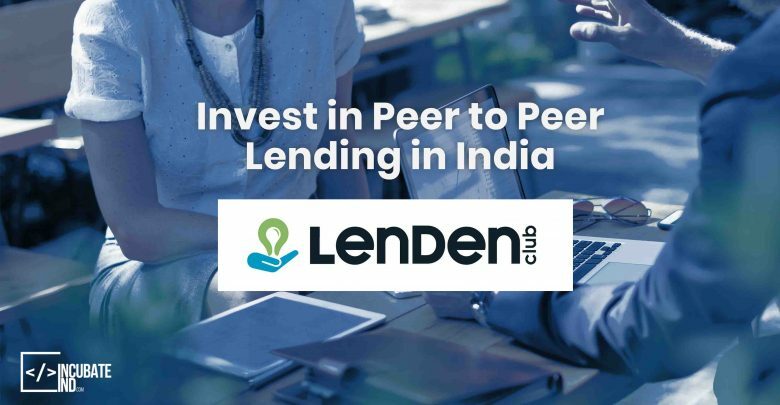 LenDenClub is a rapidly growing P2P lending platform in India which connects investors or lenders who are actively looking for high returns from creditworthy borrowers. Our platform efficiently brings together lenders & verified borrowers. It offers the required lending processes and systematic verification of borrowers that ultimately help lenders get better returns on their investments in a transparent & trustworthy manner. How Big Data and Artificial Intelligence are changing Online Lending? Digitization is swiftly growing and companies are now looking for ways to modify their digital lending services that would be profitable and effective for both borrowers and lenders. Today, Artificial Intelligence & Big Data are believe to be the future powerhouse of lending. In next 10 years, we will witness the whole change in the lending processes, which will be fully based on data. One of the biggest uses of Big Data and Artificial Intelligence is for evaluation of customer’s overall credit health, identification of their behavioral pattern and to mitigate the risks that come with this type of lending. How tech-enabled alternative lending is bridging the gaps in credit systems? Traditionally, huge number of people are left without credit because of unavailability of assessable data points. However, when we talk about alternate data points, it is possible to find these data points for many of them. It helps assess them based on alternate data points. 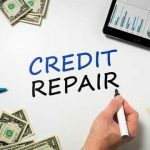 It helps reducing credit gaps in the system. How will new technology improve the loan process? Use of technology has revamped the business lending market – thus bringing the much needed speed and efficiency to an industry which is known for being exact opposite in nature. By incorporating latest technology, many of the financial institutions are making regular interactions with their customers absolutely seamless. Particularly, cloud & automation has helped in reshaping loan processes and bringing in better efficiency to the process end-to-end. It’s exciting to see lenders and banks finally starting to embrace new-age technology to move the industry forward in a safe and sustainable way. Yes, it will definitely solve it. However, it may take some time before it starts giving fruits. One of the biggest problem of Indian lenders is an identity. If different trustworthy institutions are there in blockchain to confirm identity of the user, it will open a whole new chapter in the Indian lending institutions. This will practically be the situation that each person can be identified by either of the black chain participants. This will be the game changer. I don’t see a long future before reaching there. How blockchain technology will transform P2P lending? The P2P Global lending market is forecasted to reach $1 trillion mark and by leveraging blockchain technology, it will only increase it’s value by opening up newer markets, cutting costs and increasing efficiency. Well, blockchain is no more a ‘fad’, as we say, but it is on the way to become a leading factor for the growth of P2P industry. However, blockchain is one of the most slowly accepted technologies despite it’s fast transformation and emergency in today’s day. I expected that as it involves participation from government agencies and big financial institutions. Use of blockchain by P2P lenders will expand the lending market by increasing data transparency, easy user identification, aggregating customer accounts and most importantly, mitigating costs of operations. Thus, P2P platforms adapting blockchain technology will be at an advantage.